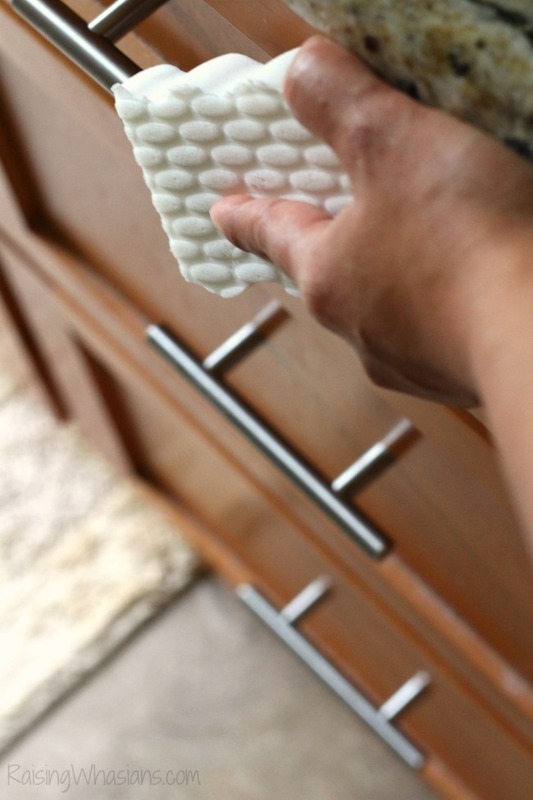 Today I’m tackling spring cleaning in the bathroom with these 13 Magic Eraser Bathroom Cleaning Hacks! This review was made possible by iConnect and Mr. Clean. I was provided compensation to facilitate this post, but all opinions stated are my 100% mine. 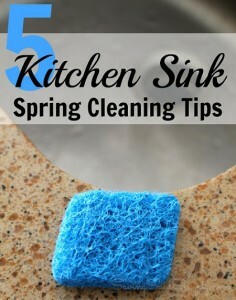 Have you noticed a spring cleaning theme? Yup, I haven’t left the bathroom yet! I’m back spring cleaning the bathroom today with a mighty tool to get the job done. 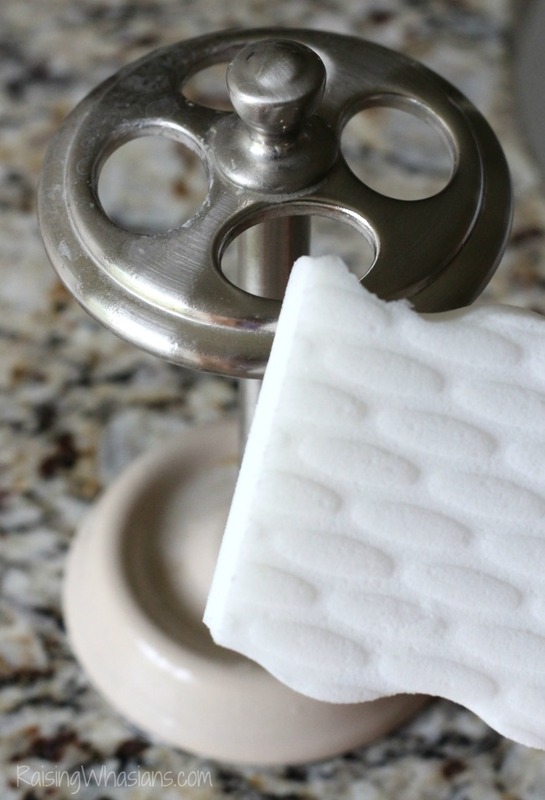 These 13 Magic Eraser Bathroom Cleaning Hacks will have you reexamining your bathroom cleaning habits too! Come tackle some of the hardest to clean and most forgotten areas in your bathroom as we tackle bathroom spring cleaning quickly and easily! 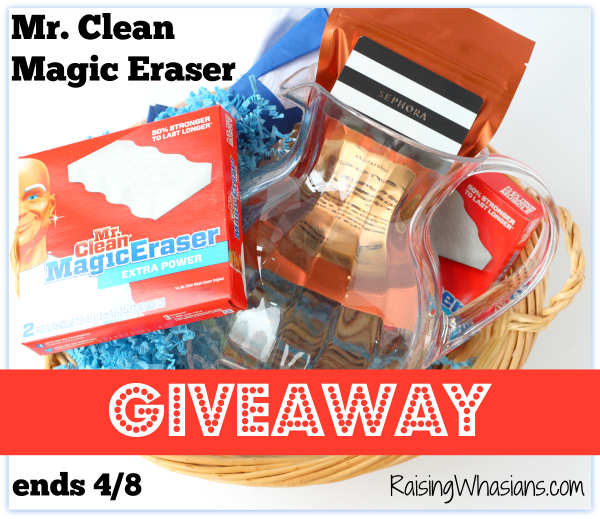 Be sure to scroll down for a Magic Eraser GIVEAWAY too! I’d love to say that I have the time to gather the 20 supplies that I need to clean my bathroom every single time for a thorough scrubbing. But reality is, I’m a busy mom that sometimes needs that one MUST have tool to get the whole room done. Enter in Mr. Clean Magic Eraser. Seriously, the angels sing every time a mom pulls out one of these amazing products. What a God-send! Ok, so you’ve tackled the sink. But have you really dug into the drain part? Yeah, that’s where the “good stuff” sits. Scrub the drain well with your Magic Eraser and watch the gross colors disappear. 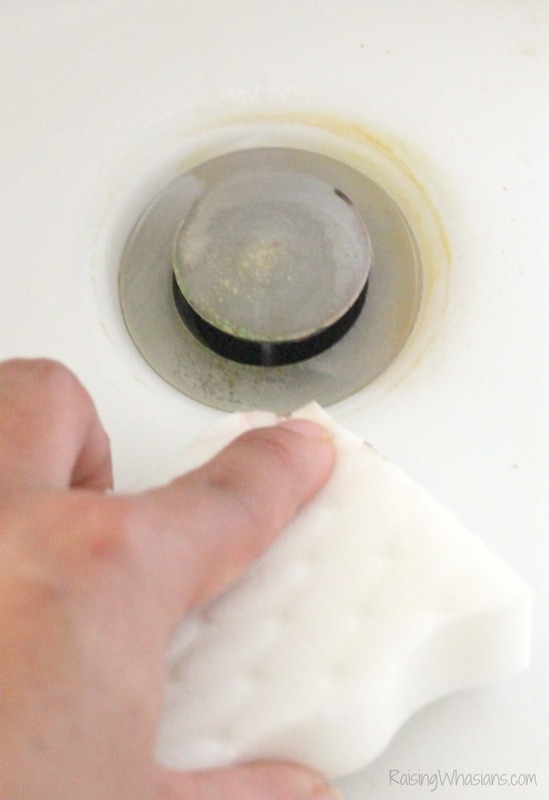 Do not believe that Pinterest myth of floating a piece of Magic Eraser in your toilet bowl. Remember, the power is in the scrubbing action. So get down and around the whole surface area of the toilet with your Magic Eraser. Because you already know how gross your toilet is. For the inside of the bowl, grab this DIY Natural Toilet Cleaner instead. Now this is an area that I did Pinterest try. I found that scrubbing the mirror with a DRY Magic Eraser does really well for a streak-free shine. And after your dirty hands have left the toilet area, guess what’s the first thing that you touch? Yup, the soap dispenser. When was the last time that you cleaned that device? Grab your Magic Eraser for this one. YES! Do you know how often there’s a make up spill in my bathroom? Hello, kids – distractions – phone calls – you name it! While I do my best to clean them up, the dried on make up stains are the worst! Magic Eraser works great on my bathroom counters to clean up even the stubbornest make up. I highly dislike grout for one reason, cleaning it. And when your grout happens to be light in color, you notice that soap scum, mold and mildew much quicker. Scrub away the yuck with a Magic Eraser. Those edges fit perfectly to tackle my cleaning nemesis. Do you know how dirty that thing is? Hurry and Magic Eraser that holder before you put your brush back in! Is your little Picasso at it again? I always seem to find little pencil and crayons marks on walls all over my house, the bathroom included! Mr. Clean Magic Erasers are perfect for scrubbing off those bits of artwork. My bathroom baseboards used to be white. I got down on my knees lately to check them out and they were caked with dust…and who knows what else. 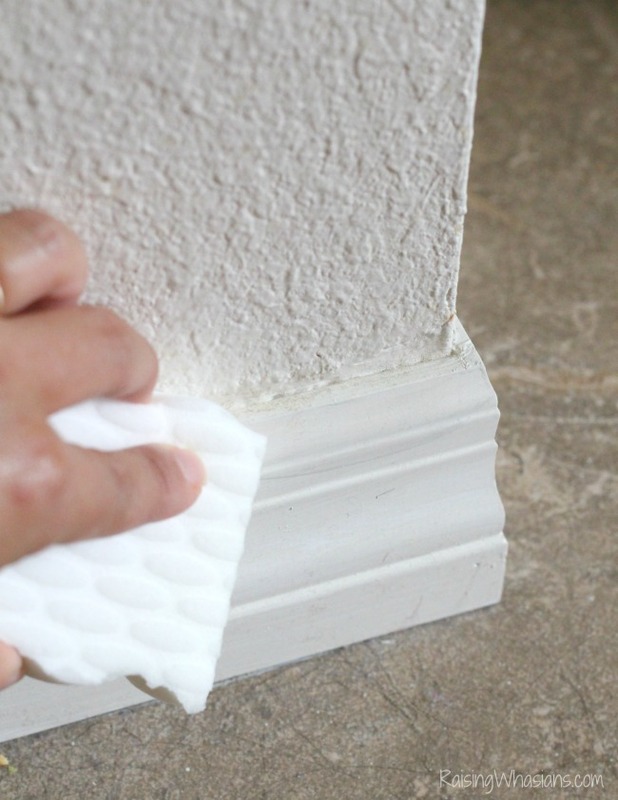 With a Magic Eraser, I can easily restore my baseboards back to their original color. And while we’re down on our knees, have you seen the bottom of your bathroom door? I promise you that there’s a scruff mark somewhere on there. Go ahead and clean that up before your in-laws come to visit. Oh yes, we are covering every single possible thing that your dirty hands touch in this bathroom. Your bathroom cabinet handles are not off limits either to the Magic Eraser touch. Give them a once over. It’s the signature Mr. Clean Magic Eraser move, right? But it’s so true! Even the worst tub ring stands no chance next to the Magic Eraser. Did I mention how amazing this thing is? Have little hands in the bathroom….all of the time? You can imagine how many germs are chilling on your light switches, on top of being covered with mysterious sticky substances. You need a Magic Eraser for that. 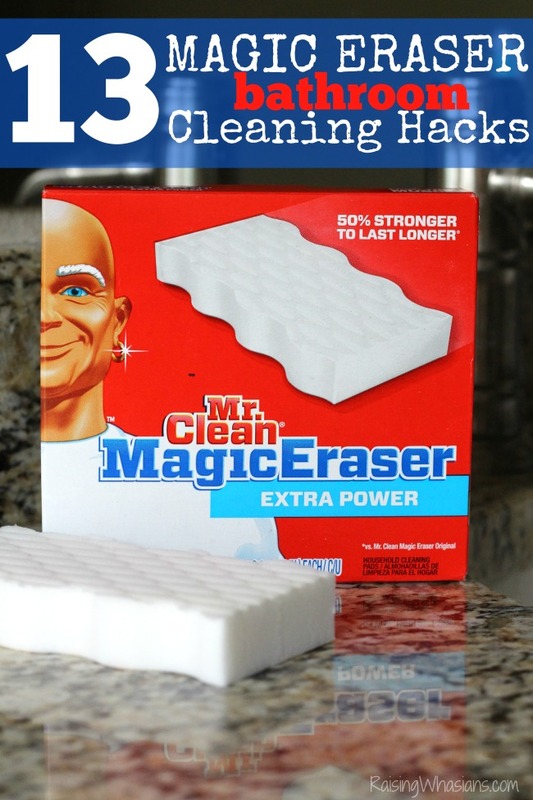 How do you love to use Mr. Clean Magic Erasers? 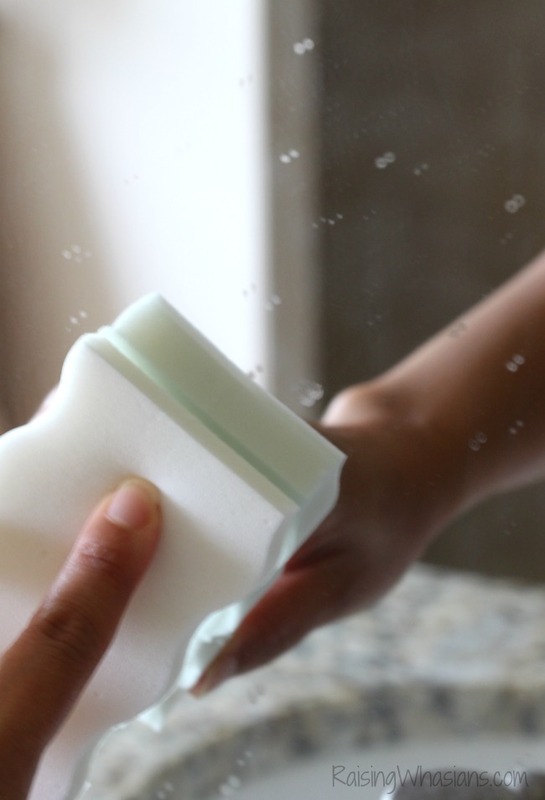 Which of these Magic Eraser Bathroom Cleaning Hacks is your favorite? Contest open **US** ages 18 and over. Winner has 48 hours to respond to my email titled – make sure to check your spam. Failure to respond will cause winner to forfeit the prize and a new winner will be chosen. Please note that prize can take up to 6 weeks to be received by the sponsor. No Purchase Necessary to enter. This giveaway is in no way affiliated with Facebook, Pinterest, Youtube or Twitter. One entrant per household/IP address. This disclosure is made in accordance with the FTC 10 CFR, Part 255 Guides Concerning the Use of Endorsements. Entrants must only enter with either one email address, IP address, and/or Facebook account. Anyone found violating these rules will be disqualified. It is at the sole discretion of the admin of the giveaway if the winner has met the rules or not. Be sure to follow Raising Whasians via Facebook, Twitter, Google, Instagram, Pinterest and YouTube for more of your mom hacks, kid crafts, and giveaways! They are fantastic for cleaning crayon off the wall, believe me I know. I’ve actually never used them. Keep one handy – you’ll use it for so much. It’s great for cleaning shoes. Especially white ones. try real hard to follow the instructions on using the sponge. I have to fight the urge to add lots of water. I love to dappen them and use them but never leave them sitting in water! I use them on my grooved refrigerator door handles it does wonders! I love using them on my shower! They work great. I use it to clean wall and baseboard. It also works great to clean mug for coffee and tea stains. These work great on my bathroom tile. I love my Mr. Clean Eraser to handle marks that my kids leave on the walls when they bang their baseball bats, skateboards, scooters, etc. into them! My best tip for using Mr. Clean Magic Erasers? I have not used one in years, so I have no tips. I love to use them on painted wood trim. They don’t remove the paint…just the fingerprints. I use them on the walls and trim. I gets rid of all my sons dirty handprints. Haven’t tried this product yet. I like to use the magic erasers to clean my inside garage cans. I use them on walls and sinks usually. My son uses them to clean white on tires. Will have to try them on mirrors. I mostly use mine to clean the bathtub. They also work well to clean smudges off walls. Magic erasers are the only thing I use on my range hood, especially underneath. Magic Erasers are the only thing I’ve had any luck with for cleaning the greasy dust on top of the fan over the stove. Oh, and my best tip is to buy the original Mr Clean Magic Erasers–there really is a difference. Outdoor Furniture ! Everything comes clean! Don’t share it LOLL , just kidding, I think everyone should have one of these in each room of the house for all those quick messes, Use the eraser with water before adding other products. I’ve never used them before but would love to try them sounds amazing to use. I use them on just about everything, especially good in the bathroom and kitchen. They are great for stains on counter tops. I have not tried this product yet but I have heard good things. I would like to try it. I suggest to wet it before using. I find that it help clean better rather than being completely dry. I used these on all surfaces except fabrics of course. Everything from the roof to the foundation…it cleans it all! Mr Clean magic eraser works awesome in the bathroom especially the tub. Mr Clean erasers are great for getting the grime and caked on foods off of kitchen cabinets so they shine like new! I have never used them but want to do that now that I have seen so many clever uses for them. What about cleaning off white shoes? Cleaning scuff marks off of walls, works every time! I use these foooor everything! They’re awesome for removing scuffs from shoes! I really like using Mr. Clean Magic Erasers in my shower area. It does get off the grime and built up stained areas. 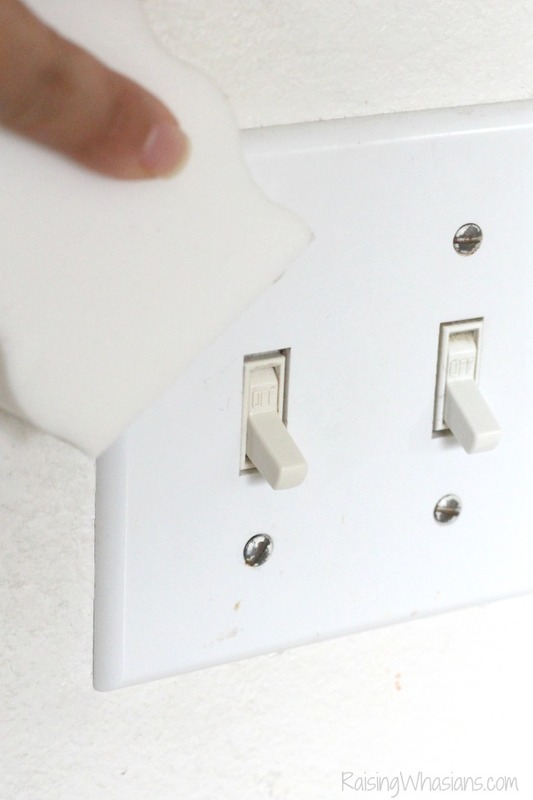 You can use magic eraser to clean just about anything. Using them on the burned on grease on the stovetop has been wonderful. 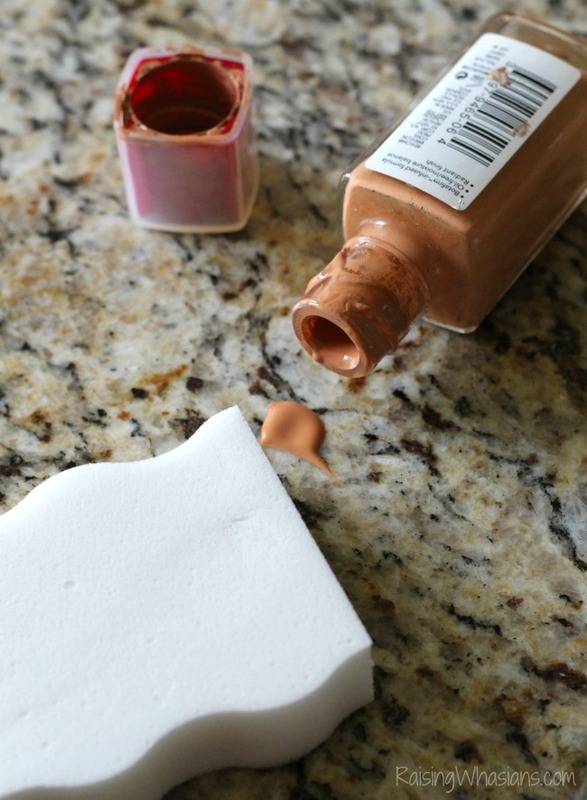 I usually get magic erasers for the sole purpose of cleaning up my toddler’s “wall art.” Nothing works better! I use them to clean baseboards and the bottoms of my pots and pans. Don’t saturate them too much or they fall apart. They are great for removing marks on painted walls. I don’t have any tips but they do work on most anything. My Clean Magic Erasers work great on my stainless steel sinks. I use them on my walls for cleaning pencil and crayon marks from the kids. They do an awesome job of making my bathtubs shine! My best tip is they are great at getting marks off kitchen cabinets! 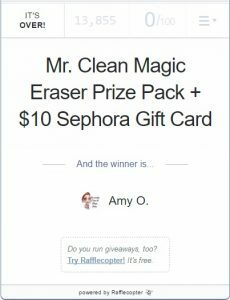 I use Mr Clean magic erasers all of the time! Nothing cleans better! Love them and would love to win some! They work great on stains in the bathroom. I like the idea of removing crayon from my walls but I’m worried about removing paint. I love using them to clean marks off of our walls. My best tip is to use it for crayon marks that my adorable kiddo’s get all over our walls, both painted and wall papered! I love using them to wash sneakers and Ink! They work great to get black scuff marks off linoleum floors. I usually dab them with a little water and use them on my trim work in my home. They work really good with off white wood. Be careful though not to really scrub a wall with them too hard. I use Magic erasers to get kitty footprints off the walls. I use Magic Erasers to clean dirty Crocs, Natives, and other rubber type shoes. I would suggest cleaning the shower just after you take a shower so that the area is moist and use the magic eraser. You don’t need anything too harsh. They are terrific getting paint stains off craft room walls. I use them to clean areas in my brithers bathroom. His aim is poor. I will leave the rest to your imagination! But they work! I have used Magic Erasers in my classroom. They work wonders on dry erase boards! It’s great for wall scuffs! Mr Clean Magic Erasers are great for getting scuffs off of walls! Use your arm muscles to scrub hard, which’ll make your cleaning time more efficient. As we prepare for warmer weather using Magic Eraser on plastic coolers removes all evidence of last years tailgating and picnics. I use magic erasers a lot. They work great when kids have arts & crafts accidents. My best tip for using Magic Eraser is that they REALLY work!!! Unlike so many products that don’t live up to their claims, a wall of children’s “artwork” that I’d thought I’d have to re-paint actually came clean with Magic Eraser after trying everything else! I use magic erasers on pretty much everything. They work great. I love to use them on our sneakers! It works so good! I clean my white sneakers with them. Clean around the refrigerator door handles, they can be quite gross! I love the way Mr. Clean Magic Erasers take stray marker marks off plastic! I use Magic Eraser in my car on the console because it always get every spill ever in the car. Thanks for sharing. magic eraser is great on my kitchen stainless surfaces. Use them on the stove they really are magic and can get spots my other scrubbers can’t get off. My best tip tip is to dip them in some cleaning vinegar and wipe down the walls. They honestly do work; my favorite thing to do though is to just use vinegar with it to wipe things down. I like using the magic erasers to clean the outside of my refrigerator. 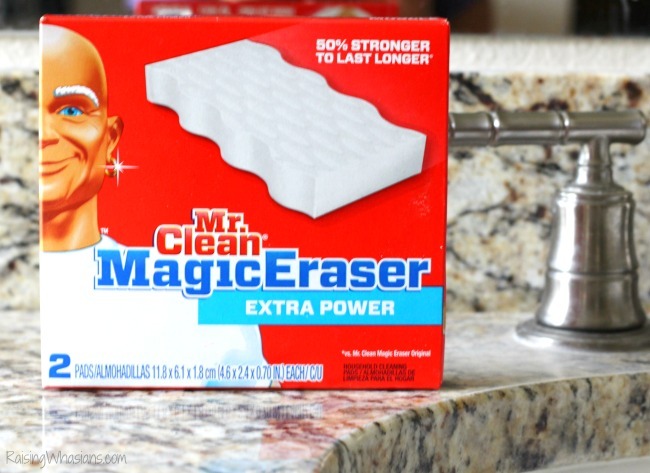 I’ve never used a magic eraser before but I’ve heard it’s an awesome product. I love Magic Erasers! I use them to clean my kid’s shoes, they work great. i love them for the bottom of car cupholders! Magic erasers work great for cleaning the interior of the car. It is amazing to see how it makes everything so clean and shiny. My best tip for using Mr. Clean Magic Erasers is to use them damp on baseboards and doors to get them sparkling clean. My tip is to rinse as you use so you get the best use from them! i use Magic Erasers to clean scuffs off the walls. Magic erasers are great for so many tings. they should be your number one ally in cleaning supplies. I have heard they are good for cleaning up messes from kids using marker or crayon. I use them to clean my walls when the kids color on them. They are great at cleaning the grout in the shower. I have not tried them but I have heard they worked great. I cut the magic eraser to smaller pieces. That way you have more sides to use. I’ve only used them once and I cleaned all of my kitchen cabinets. It worked wonders! I use it to clean the white backyard chairs after the winter. I use to use them at work. My tip is to scrub hard. I keep one in the shower and do a quick shower stall scrub while i’m waiting for my conditoner to work. Don’t doubt the power of the Magic Eraser. I’m done with scrubbing on things with 100 different products – just whip out the Magic Eraser and it’s clean! I seriously use these on everything! and i cut them up smaller to make them last longer! i have never used them before but have heard great things so no tips from me … yet! So far I’ve only used them to remove marker pen drawings on everything from walls to clothing – yes – my granddaughter is quite the artist! Always found they did a great job on the white refrigerator. My tip is to always have another Magic Eraser. I love using it on the walls for dirty handprints and other marks. I love using magic erasers to clean my outdoor furniture. I like to use them with a little bit of water. It helps clean crayon off the tables and walls. I use magic erasers on the handle of my fridge. I use them on my kitchen sink! i like to use the magic erasers on everything. they work great on walls. that is my tip. I haven’t tried this product yet. Never use them on the skin because they will leave a “burn”. 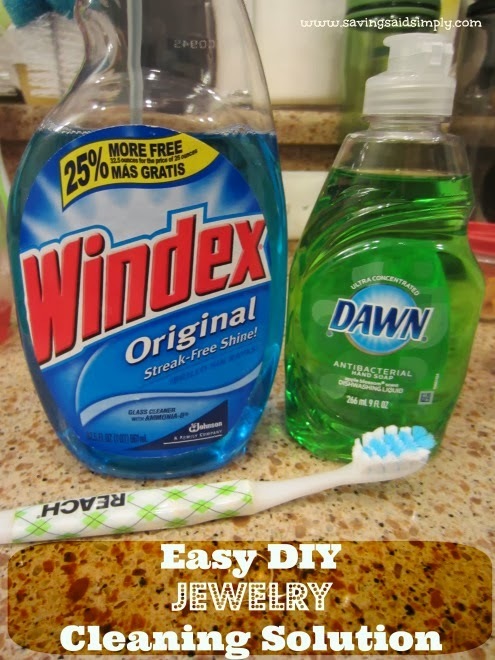 They work great to remove stubborn stains from a kitchen floor. I use them to remove marks from toys, ink, and more. They will also remove tea and coffee stains from the kitchen sink. I buy them in bulk! I use them all the time on my daughters highchair. They work great for both food clean up and crayon marks on the tray. Use it gently, don’t try to use elbow grease. And just a little moisture goes a long way. I haven’t used them before, but I’ll let you know after I win them. I have never used them! But I have wanted too and have only heard great things about them. Always check them out on that inconspicuous spot first; no surprises. Not sure it’s a tip, but I use these constantly in both bathroom and kitchen. It’s great at cleaning the stove! I have used them on the walls where food splattered by my stove as well as renewing an old pair of my husbands slip ons! I use to get scuffs off my kitchen floor!! I love to use them in my shower because they get all the soap scum off. I use a little hot water with them but nothing else. i like to use them on the rust stains in my bathtub! never used them before but would love to try them sounds amazing,,, hope i win.. I have never used a Magic Eraser before so I don’t have any tips but I would definitely love to try one someday. I use them to keep my bathtub white. They work great on stair rails, walls, doors, and refrigerator door handles. We use Mr. Clean Magic Erasers to clean baked on “gunk” in our oven. I absolutely love these! My dogs have a tendency of hanging out in my kitchen, right against the backdoor. Well, lets just say, the color they leave on my white door doesn’t quite match with the door at all lol. Wetting a magic eraser a bit and wiping over that, takes care of it completely! Huge help around here.